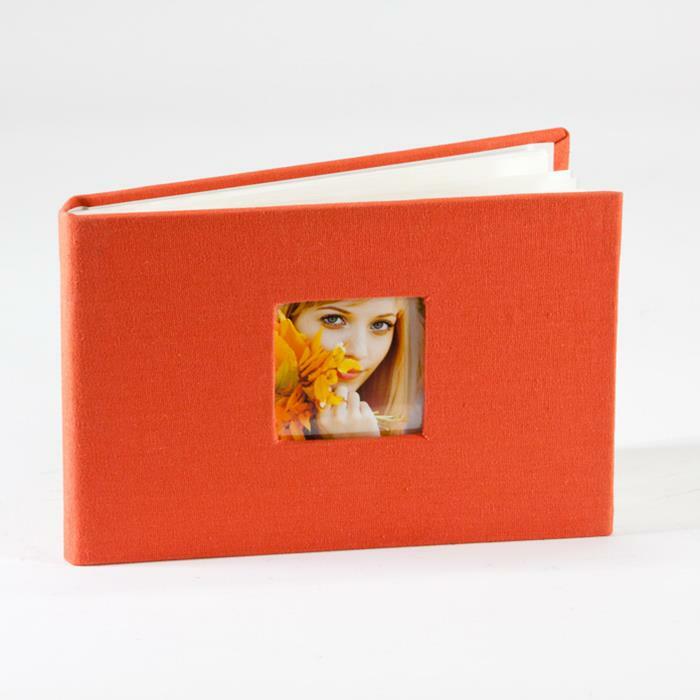 This pocket-sized photo album is a blend of elegance and portability. Features include a fabric-wrapped cover and a 2" x 2" keyhole cover to display a small photo or album title. This album can hold up to 24 4"x6" photos in its mylar-sleeved pages. The photo-safe interior pages are acid-free, lignin-free and PVC-free.